The name of this Congregation is, “St. John’s Evangelical Lutheran Congregation of Depew, Inc.” (Incorporated under the laws of New York State, March 6, 1913). 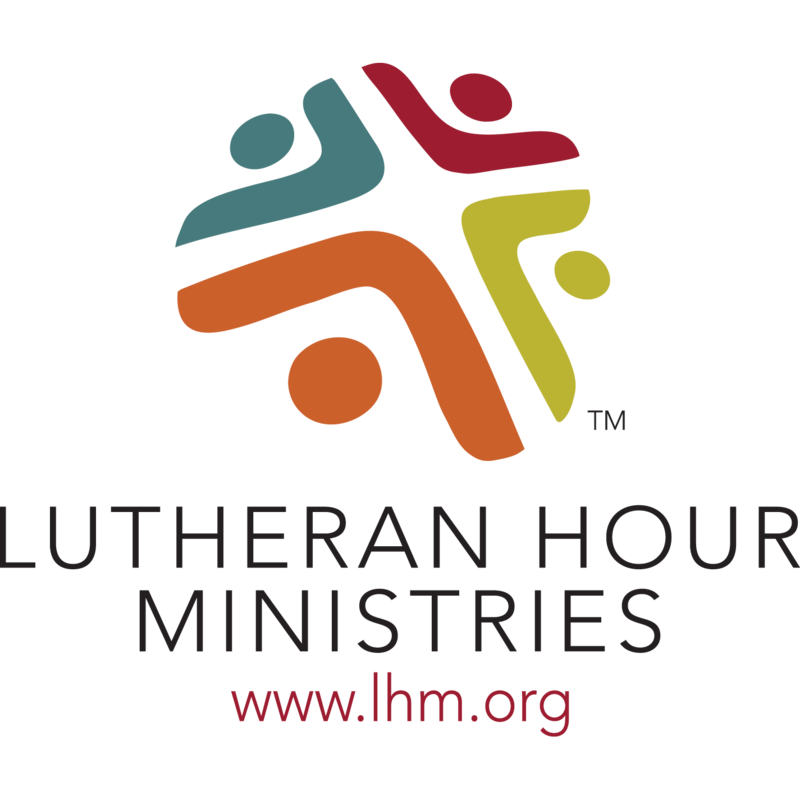 The purpose of this Congregation is to serve its members and to spread the Kingdom of God by the preaching of His Word, by the administration of the Sacraments, and by the religious instruction of youth and adults according to the Confessional Standard of the Lutheran Church (Section 4.0), and to foster Christian fellowship and charity. 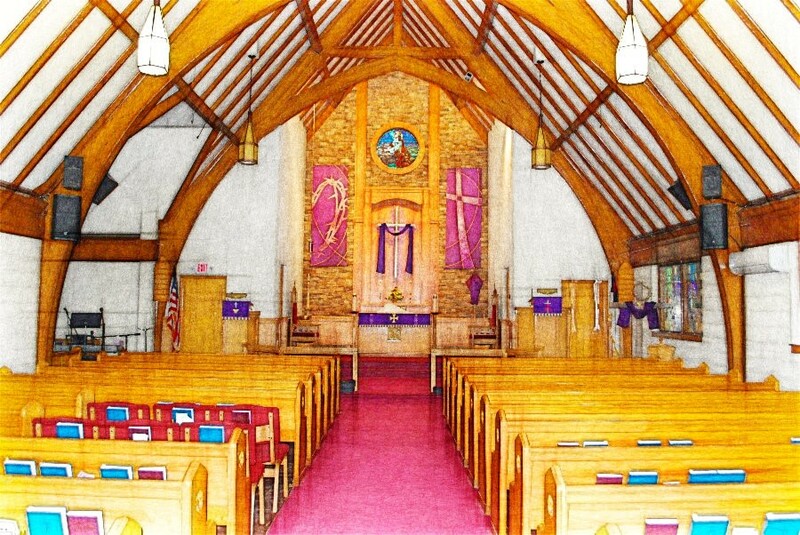 Title to all property shall be in the name of St. John’s Evangelical Lutheran Congregation of Depew, Inc., and shall belong solely to the Congregation. This congregation has the authority to acquire property by any means whatever, including, but not limited to, purchase, gift, devise, or bequest. The Congregation has the right to dispose of its property, by sale or otherwise, according to the dictates of the voters, and upon compliance with the provisions of the Religious Corporation Law of the State of New York, or any statute amended or supplemental thereto. 4.1 This Congregation acknowledges and accepts all 66 Canonical books of the Old and New Testaments as the revealed and verbally inspired Word of God and accepts all the Confessional writings of the Evangelical Lutheran Church contained in the Book of Concord of the year 1580 as the true and sound exposition of the doctrines of the Bible. 4.2 This Congregation shall at all times remain true and faithful to the Old and New Testaments and to the Confessional Books of the Evangelical Lutheran Church. To this extent, this Congregation specifically rejects any additions to or deletions from the Confessional Standard, as herein defined. No statement, resolution of any body, or any other document shall ever become a part of the Confessional Standard of this Congregation. This Congregation shall at all times maintain its Confessional Standard either in affiliation with any larger church body or, if said Congregation chooses, to become independent of any larger church body. 5.1.1 Baptized members are all who have been baptized in the name of the Triune God and who are under the spiritual care of the pastor of this Congregation, including the children who have not yet been confirmed. 5.1.2 Confirmed members are those baptized members who have been instructed in the Lutheran faith, accept the confessional standard of Section 4.0 of this Constitution, are familiar with the contents of Luther’s Small Catechism, and are not members of organizations whose principles and conduct conflict with the Word of God. 5.1.3 Voting members are all confirmed members who have reached their 18th year. Voting members who have reached their 21st year are eligible to hold office. Members of the congregation shall conform their entire lives to the rule of God’s Word and, to that end, make diligent use of the means of grace, exercise faithful stewardship of God’s many gifts and talents, impart and accept fraternal admonition as the need of such admonition becomes apparent, and be readily available for service in the Kingdom of Christ within and beyond the Congregation. All confirmed members who have reached their 18th year shall be entitled to vote. Voting members who have reached their 21st year are eligible to hold office. The Congregation as a body, through the voting members, shall have supreme powers to administer and manage all its external and internal affairs. The establishment and conduct of all institutions and societies within the Congregation shall at all times be subject to the approval and supervision of the Congregation. A Church Council, consisting of elected officers and others as defined in the bylaws shall have the power to act on behalf of the Congregation except in the calling of a pastor or commissioned minister, decisions regarding the borrowing of funds and purchase or sale of real property. The right of calling ordained or commissioned ministers shall be vested in the voters of the Congregation assembled for that purpose, and shall never be delegated to a smaller body or to an individual. Congregational officers, teams or committees, whether elected by the voters or appointed, shall have no authority beyond that which has been conferred upon them, and whatever power may have been delegated to them may at any time be altered or revoked by the Voters’ Assembly. The Congregation has the supreme authority over all spiritual and temporal affairs of the Congregation. The Congregation, however, shall not be empowered to decide anything contrary to the Word of God and the Confessions of the Lutheran Church (Section 4.0). 8.1 Eligibility– Only those persons who have been confirmed and are at least twenty-one (21) years of age shall be eligible for an elected office in the Congregation. 8.2 Officers – The officers of this Congregation shall be such officers, as the By-laws of this Congregation may prescribe. 8.3 Election – shall be elected, or appointed as prescribed in the Bylaws. meeting has been given by mail to the voting members. especially in respect to the disposition of any proceeds from the sale of congregational property. 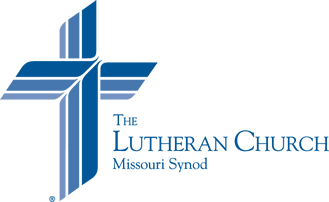 This Congregation shall be a member of the Lutheran Church-Missouri Synod, provided, however, that the authority of the Synod over this Congregation shall never be legislative, but only advisory. This Congregation shall never be subject to coercive powers exercised by a Synodical convention, District convention, Synodical or District commission or board, or by an officer or individual serving in any capacity whatever with either the Lutheran Church-Missouri Synod or the Eastern District of the Lutheran Church-Missouri Synod. The Congregation shall have the right at any time to sever its Synodical connections and, if it sees fit, to connect with another Synod or to become an independent Congregation, so long as this Congregation always maintains the Confessional Standard set forth herein, and provided further, that this Congregation shall be the sole judge as to its continued adherence to said Confessional Standard. least 60 days after written notice of the meeting has been given by mail to the voting members. The Constitution may be altered and amended according to circumstances. Such alterations, however, must not contradict Section 4.0 or any section of any other article that pertains to Scriptural doctrine and practice. Amendments may be made at any duly called Congregational meeting for this purpose upon two-thirds (2/3) vote of all voting members present, after said amendments have been submitted in writing and announced in two public services. There are three types of membership in the Congregation. have not yet been confirmed. principles and conduct conflict with the Word of God. members who have reached their 21st year are eligible to hold office. 1.2.3 By transfer from a sister congregation, or by profession of faith or reaffirmation of faith. A voting member who brings an issue of concern to the Church Council shall have the right to a properly called Open Forum on the issue if they so desire and a vote by the voting membership. follow these stated and adopted guidelines. 1.4.3 Those terminated forfeit all rights and privileges of a member of this Congregation. 2.1 A regular meeting of the voting members shall be held at least once each year. 2.2 The Annual Meeting will include Annual Reports to the Congregation by responsible officers, teams, boards and ministries. 2.3 Annual elections shall be held at a Voters’ Meeting in December. Voters are to be given the opportunity of nominating individuals for elected positions to be submitted on the final ballot. The Board of Elders will be responsible for supervising all balloting and voting. 2.4 All proposed resolutions must be submitted by the Church Council to all voting members at least one week in advance of an announced Forum or Special Voters’ Meeting for the purpose of a vote. The notice will include the time and location of the Open Forum and Voters’ Meeting. 2.5 Open Forums on various issues are to be called as necessary by the Church Council upon the request of a voting member. The President or one appointed by him/her is to chair the Open Forum. Those persons bringing the issue are responsible for its presentation at the Open Forum. 2.6 Resolutions or issues of concern may be brought by any voting member or any board to the Church Council. If the issue cannot be satisfied within the Council, it can be formed into a resolution to go before the Voters and an Open Forum must be called by the Council. 2.7 A quorum is required for voting and shall consist of 50 voting members. 3.1 Calling This congregation has the exclusive right to call ordained and commissioned ministers. The pastoral office shall be conferred only on such a pastor or candidate who professes and adheres to the confessional standard set forth in this constitution, and who is qualified for his/her work. The Church Council shall appoint a Call Committee to oversee the Call process. 3.2 Nominations A list of candidates shall be obtained from the Synodical District President. Any voting member is entitled to make additional nominations through the Call Committee. The list of candidates with their qualifications shall be mailed in advance of a special meeting to every voting member. 3.3 Special Meeting The Church Council shall call a special meeting of the voters for the purpose of calling a Pastor. 3.4 Elections Election of a Pastor or commissioned minister shall be by ballot of those present at a special meeting. The candidate receiving a two-thirds majority of all votes cast shall be considered elected. If a two-thirds majority is not achieved on the first ballot, the three names with the most votes shall stand for the next balloting. Thereafter, the name with the lowest number of votes is deleted, until a clear choice has been achieved. The election shall then be considered unanimous, and the Call be sent to the individual elected. 3.5 Removal Any ordained or commissioned minister may be removed from office by the voters’ assembly by a two-thirds majority vote, in Christian and lawful order, for one of the following reasons: persistent adherence to false doctrine, scandalous life, willful neglect, or inability to perform the duties of the office. vacancy and also give assistance in regard to the calling of a new pastor or teacher. 4.1.1 President, who shall conduct meetings of the congregation. In the absence of the President, the Head Trustee shall perform the duties of the office. 4.1.2 Recording Secretary, who will keep records of all meetings of the congregation. 4.1.3 Financial Director, who will be responsible for the financial records of the congregation. 4.1.4 (3) Trustees who shall be responsible for the physical properties of the congregation. delegated to them may at any time be altered or revoked by the Voters’ Assembly. Any officer or board member may be removed from office by the voters’ assembly by a two-thirds majority vote, in Christian and lawful order, for one of the following reasons: persistent adherence to false doctrine, scandalous life, willful neglect, or inability to perform the duties of the office. carry out the ministries of the Congregation. The Church Council shall be the Board of Directors and shall consist of the fiduciary officers (President, Recording Secretary, Financial Director, 3 Trustees), Chair of the Board of Elders, Chair of the Shepherd’s Staff Team, Chair of the Parish Education Team , Chair of the Family Ministry Team and Chair of the Stewardship Team. The pastor shall be an advisory member of the Church Council. The President and Recording Secretary of the congregation shall serve as President and Recording Secretary of the Church Council. The Church Council shall meet as needed, at least quarterly. Special meetings may be called by the president or any three members of the Church Council by delivering a written, verbal or electronic message to the residence of each member at least 24 hours in advance. A majority of the voting members of the Council shall constitute a quorum. Any individual member has an opportunity to present a matter to the Council by pre-arrangement with the President. The routine management and operation of the congregation’s affairs shall be vested in the Church Council. It shall be the principal duty of the Church Council to coordinate the programs and activities of the various ministries of the congregation. It shall annually submit a budget to the congregation for approval. It shall have the power to act on behalf of the congregation except in the calling of a pastor or commissioned minister, and decisions regarding the borrowing of funds and purchase or sale of real property which require approval of the congregation. The offices of President, Recording Secretary, Chair of the Shepherd’s Staff Team, Chair of the Parish Education Team, Chair of the Stewardship Team and Chair of the Family Ministry Team, shall be elected annually for terms of one (1) year. 6.1.1 The office of Financial Director shall be elected bi-annually to a term of two (2) years. 6.1.2 Each year, the congregation shall elect one (1) Trustee to serve a term of three (3) years. One Trustee, elected by the three trustees, will serve as the Head Trustee. 6.1.3 The congregation shall annually elect six (6) Elders who will serve terms of two (2) years. Elders will elect one Chair to serve on the Church Council. for an election to be held within the first two weeks of December. The candidate with the greatest number of votes for each office is automatically elected. Officers and members of boards shall perform the duties prescribed in the constitution. The congregation shall also have the privilege from time to time of detailing and enlarging these responsibilities within the bylaws. He/she shall work in close cooperation with the Pastor, church officers, and teams to advance the entire program of the Church. He/she shall be an ex-officio member of all boards and committees and teams without voting privileges. He/she shall appoint a Chair for each congregational meeting and such other committees and representatives as are necessary. He/she shall preside at meetings of the Church Council. 7.2.1 Consider complaints and grievances of members of the Congregation. 7.2.2 Maintain membership roles including receiving applications for membership. 7.2.3 Oversee literature and promotional material used in the spiritual programs of the Church. 7.2.4 Oversee music, vestments, par aments and sacramental supplies used in services. 7.2.5 Look after the temporal welfare of the Pastor and recommend salary and living accommodations to the Church Council. 7.2.6 Consider the needs of the Congregation in regard to the number and kind of services which are being conducted. 7.2.7 Submit a budget for items under its purview. 7.2.8 Expend as needed the funds budgeted for such items. 7.3.1 Oversee the counting and depositing of all monies received by the Congregation. 7.3.2 Submit a budget for items under its purview and expend as needed the funds budgeted for such items. 7.4.1 Oversee accurate recording of all individual contributions received by the Congregation. 7.4.2 Keep an accurate account of all receipts and disbursements. 7.4.3 Act as Comptroller in the handling of all finances, keeping expenditures in line with amounts budgeted. 7.4.4 Submit annual financial reports of receipts and disbursements at the Annual Congregational Meeting. 7.4.5 Submit budget requests for items under his/her purview and expend as needed funds budgeted for such items. 7.5.1 Keep accurate minutes and individual attendance records of the meetings of the Voters’ Assembly for the permanent records of the Congregation. 7.5.2 Notify voters of all congregational meetings. 7.6.1 Appoint a Sunday School Superintendent. 7.6.3 Develop and oversee such ministry teams as may be needed to carry out the Team’s ministries and programs. The elected Chair, together with other persons he/she appoints shall plan, promote and carry out a ministry to assist the members of St. John’s to best use the gifts and abilities with which God has blessed them to support and staff the various ministries and missions the congregation identifies and seeks to enable. At times this ministry may be shared with other teams (e.g. Parish Education) whose programs also seek to help our members share their gifts in service of God. 7.9.1 Develop and oversee such ministry teams as may be needed to carry out the Team’s ministries and programs.